The Bordeaux vintage chart gives you ranking for every Bordeaux vintage from 1959 to today. You’ll find detailed information every vintage including details on the wines, growing seasons, weather reports, harvest conditions, style and character of of the wines and vintages covering 1959 to today. You can read about the growing season in the Medoc, as well as in the Right Bank! You can also find current advice on when to drink and the best Bordeaux wines to buy from each vintage. This Bordeaux vintage chart covers the vintages from 1959 to today, with links to Bordeaux vintage reports for every year from 1959 to today. This Bordeaux vintage chart covers all the important Bordeaux appellations: St. Estephe, Pauillac, St. Julien, Margaux, Graves/Pessac Leognan, Pomerol, St. Emilion and Sauternes. We also cover all the important, small appellations and satellite regions as well. Rankings and scores in the Bordeaux vintage chart are not awarded for a mathematical average of scores. The years in the Bordeaux vintage chart are scored using a rough average based on your chance of randomly purchasing a bottle of Bordeaux wine from the vintage of your choice and have it offer a reasonably good, wine tasting experience. This is the purpose of the Bordeaux vintage chart. Of course there are always some good and even great wines produced in moderate years. But one good wine, or even a few good wines does not make a great vintage. For example, for wines from the Left Bank for the past 30 years, the vintages can be ranked as follows: 2009, 2016, 2018, 2010, 2015, 2005, 2000, 2014, 1996, 1990, 1982, 1989, 2003, 1998, 2006, 2008, 2012, 2001, 2004, 1985, 1995, 1986, 1988, 1983, 2002, 1999 & 1994. Part of my thoughts are based on the entire spectrum of wines from a vintage. For example, 1989 has a few great wines, but numerous properties did not excel. A similar problem comes up with 2003. Some wines are off the charts, they are so good. But there are numerous failures as well. Still, the best of those wines are for me absolutely compelling. It is also important to consider that today, there are several estates making great wine, that did not produce wines at the same level in vintages as far back as 1982, or even as recently as 1982. If you’re looking at what now are considered as ancient vintages, those that are at least 50 years or older, for the Left Bank, 1961, 1959, 1955, 1953, 1949, 1948, 1945, 1934, 1929, 1928, 1921 and 1900 are all stellar examples of great vintages. 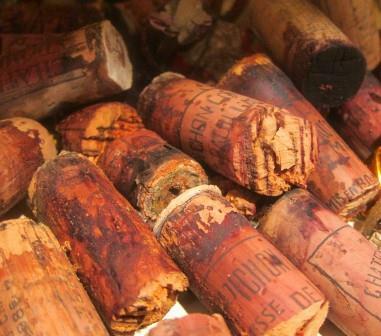 Although today, due to age, storage, provenance and counterfeits, buyers of these wines should exercise extreme caution and purchase them from only known and trusted sources, or major auction houses that thoroughly vet the wines. But the situation is changed when ranking the best Bordeaux vintages for Pomerol and Saint Emilion. Those vintages can be ranked as follows: 2009, 2015, 2018, 2010, 2005, 2015, 2000, 2016, 1998, 2012, 2014, 2001, 2006, 1990, 1989, 1982, 2008, 2004, 1985, 1995, 1988, 2014, 1999 and 1994. If you’re thinking of buying older, mature, ancient vintages from the Right Bank that 50 years of age or older, look for wines from 1964, 1961, 1959, 1955, 1953, 1950, 1949, 1948, 1947, 1945, 1929, 1928, 1921 and 1900. With that in mind, be extremely cautious about buying the most famous examples of Pomerol and St. Emilion from those years. There are far more fake and counterfeit wines available for sale than were produced. The problem is exacerbated with large formats. The majority of large format famous wines for sale are fake! This needs to be taken into consideration before you even think about storage and provenance. Potential buyers of these exceedingly rare wines should exercise extreme caution and purchase them from only known and trusted sources, or major auction houses that thoroughly vet the wines. A great vintage, which does not happen that often, is a year that produced high quality wines from every Bordeaux wine appellation and in all price ranges. That means the wines at the top are of extreme quality as are value wines. The wines should offer a unique character and have the ability to age and evolve. 2017 Bordeaux Wine – Mixed vintage that is known for the devasting frost that struck the region in April. The wines are best in the northern Medoc, becoming less consistent the further south you go. In the Right Bank, Pomerol at the top end bests Saint Emilion. 2016 Bordeaux Wine – Stunning wines from Pauillac, St. Estephe and St. Julien. Good but mixed in other appellations. However, interestingly, some vineyards in Pomerol and St. Emilion made the best wines in their history!